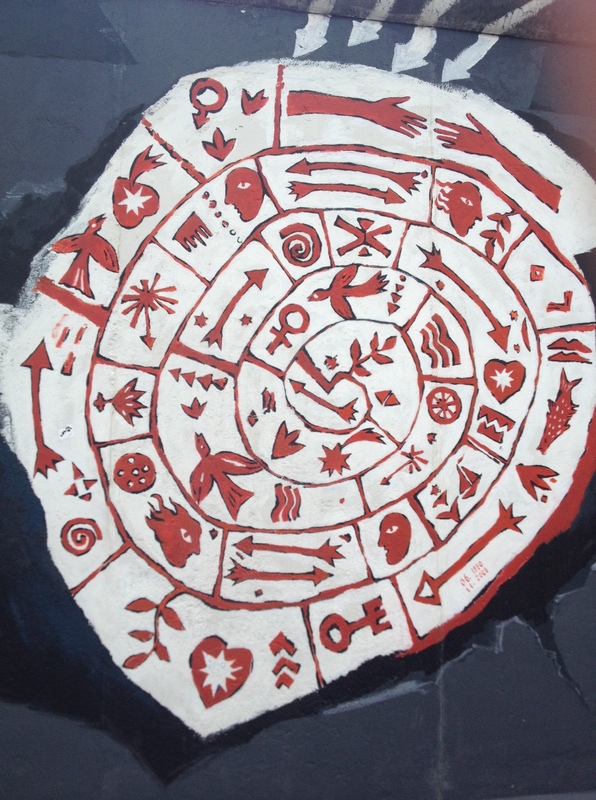 One of the reasons I tend to travel alone is that I prefer to discover places organically. I try not to carry guidebooks, and rarely do much pre-arrival research. Many, many people find this annoying; a few find it delightful, and I hold them dear to my heart. 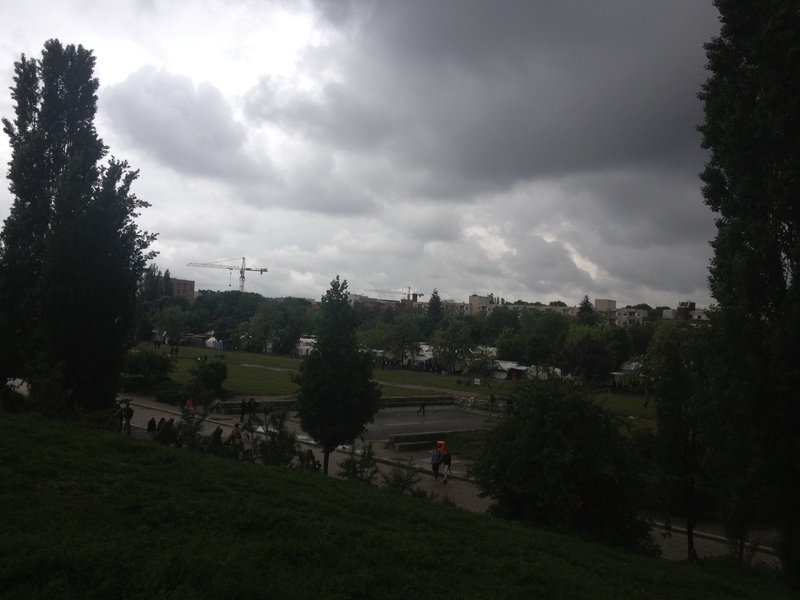 But right now, it’s me against the world, and the book Stasiland was pretty much the only preparation I had for my visit to Berlin. 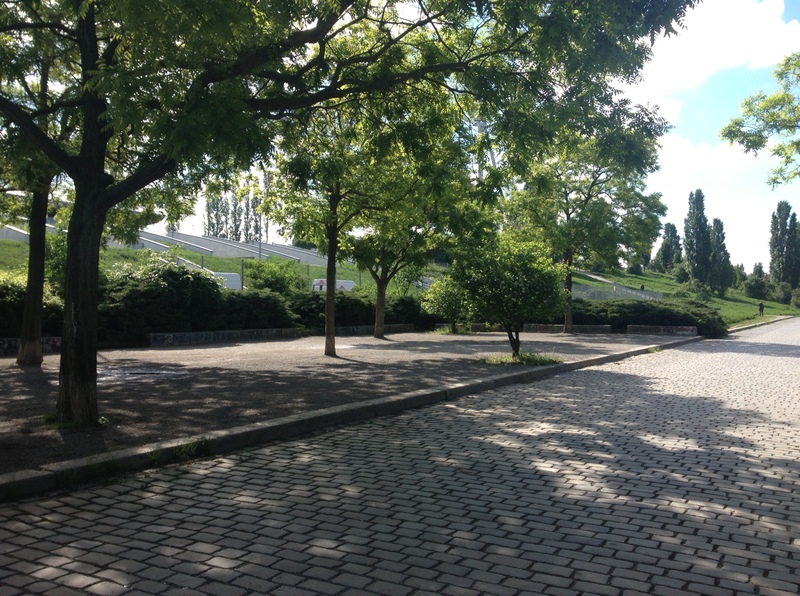 When I got here, I emailed a friend of a friend as my only contact in Berlin, and mentioned that I was staying near Schönhauser Allee. 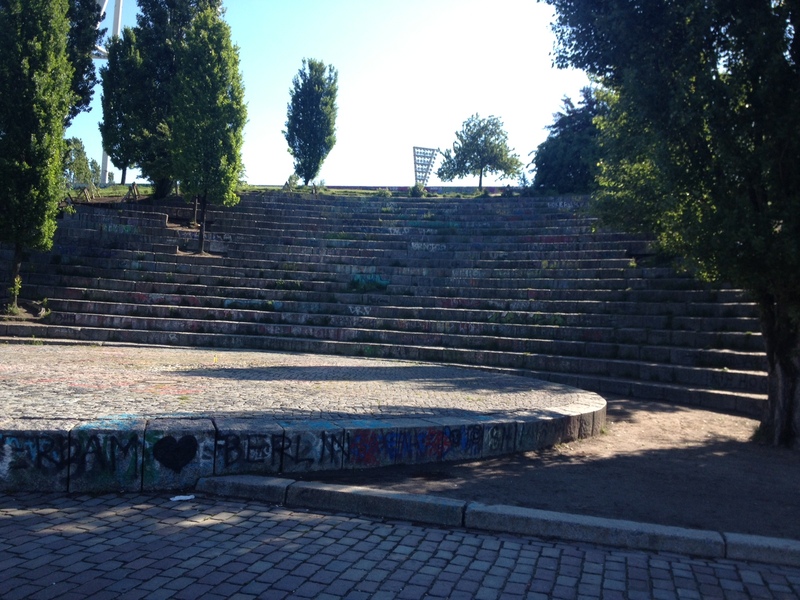 She responded that my area was called Prenzlauer Berg and that I should check out the flea market in Mauer Park on Sundays. 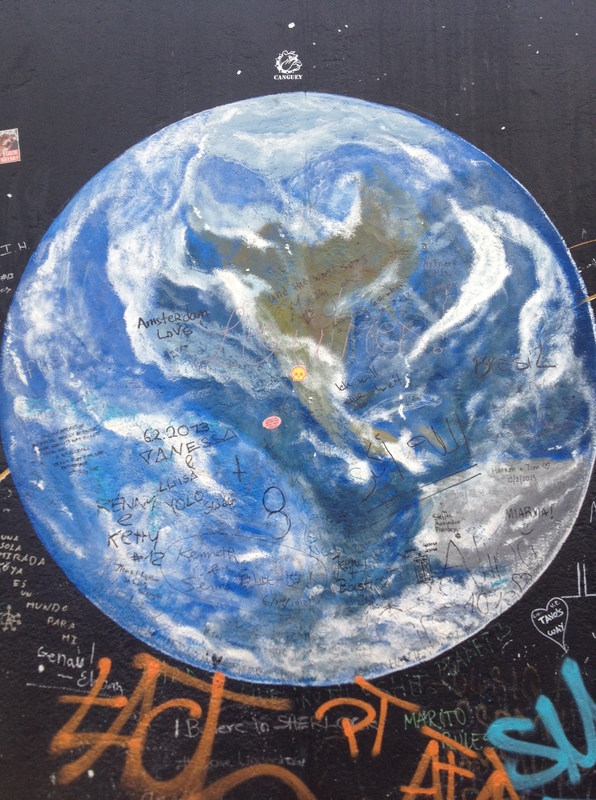 I did so, and it was like finding a little slice of Austin in Germany (imagine if Eeyore’s Birthday had a flea market – that’s Mauer Park on Sundays). 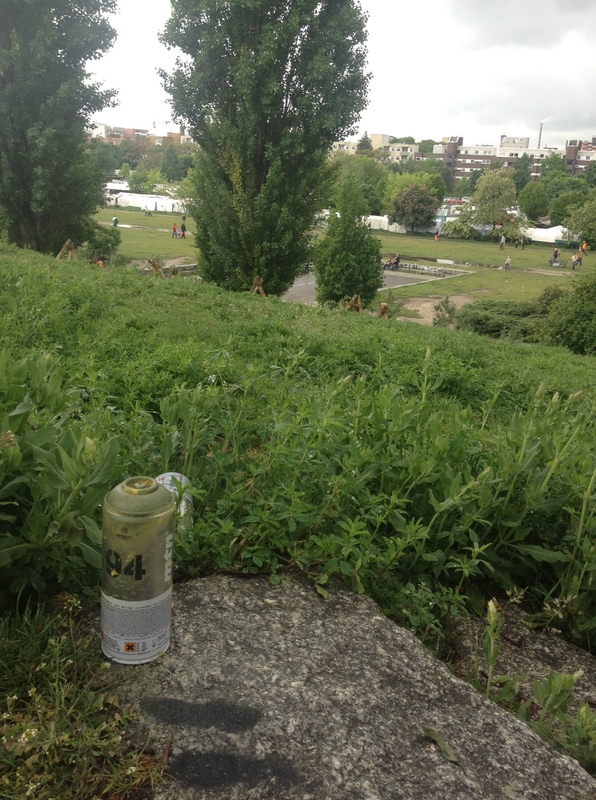 Since it was so close to the apartment I’m staying in, I also started jogging in Mauer Park. 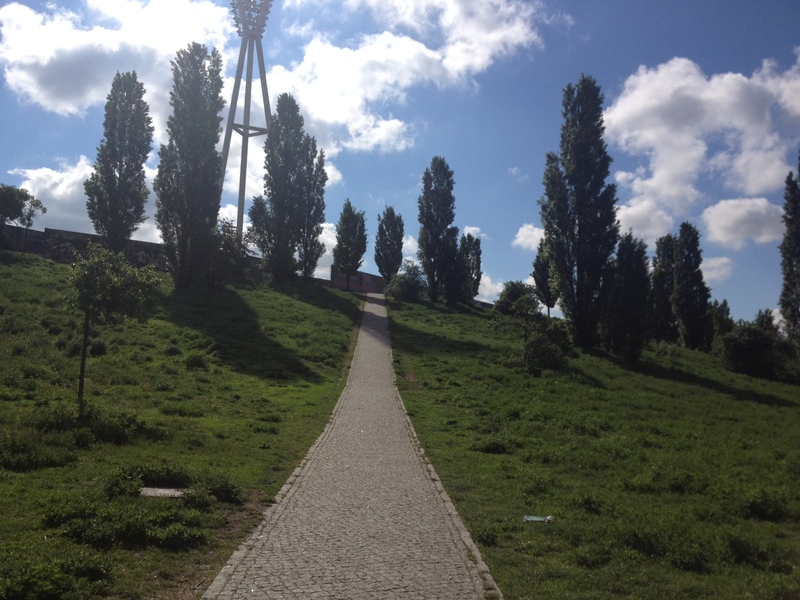 Two laps around Mauer Park and the adjacent sports complex equals a 5K. Four laps makes a 10k, which is where I needed to be. There is enough scenery to keep me interested, and a monster hill that has to be tackled on at least one of the laps. 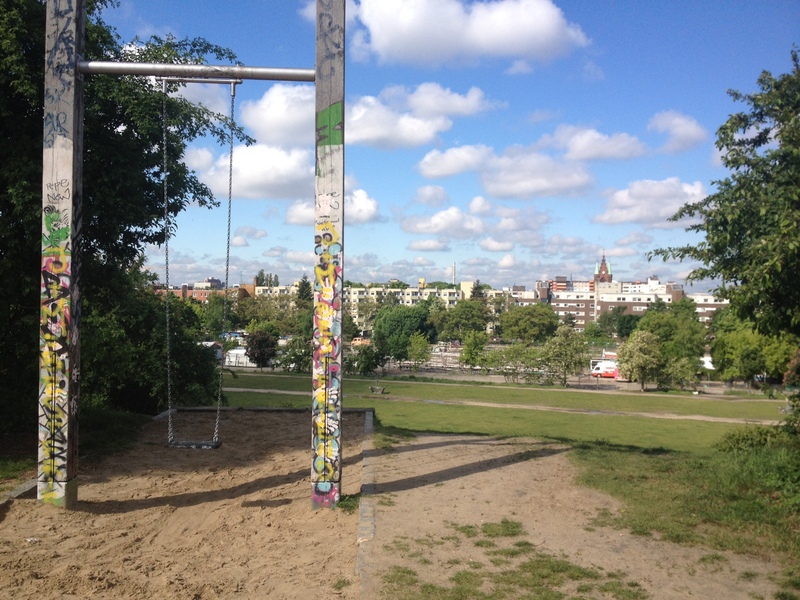 While out jogging in Mauer Park, I also noticed a lot of graffiti. 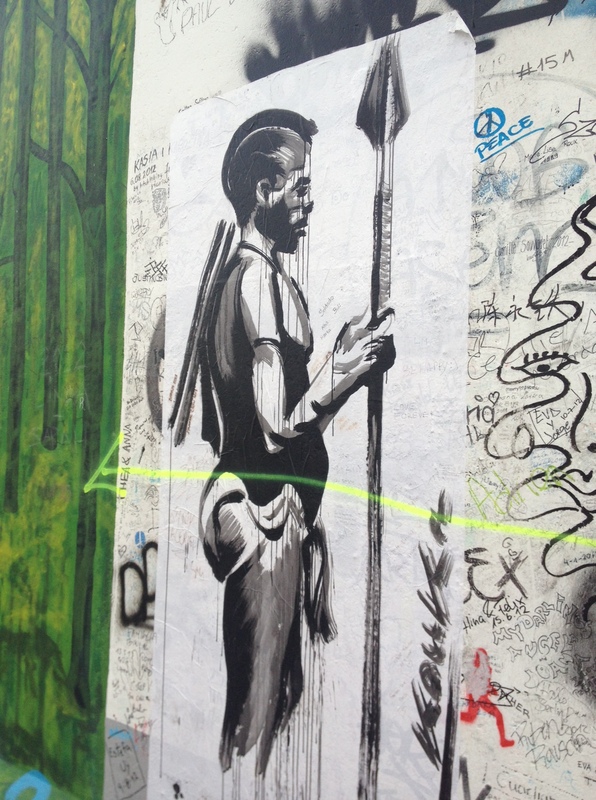 In fact, at the top of the hill, the entire wall on the backside of the soccer stadium was covered with a veritable gallery of spraypaint masterpieces, which were constantly refurbished before my very eyes. 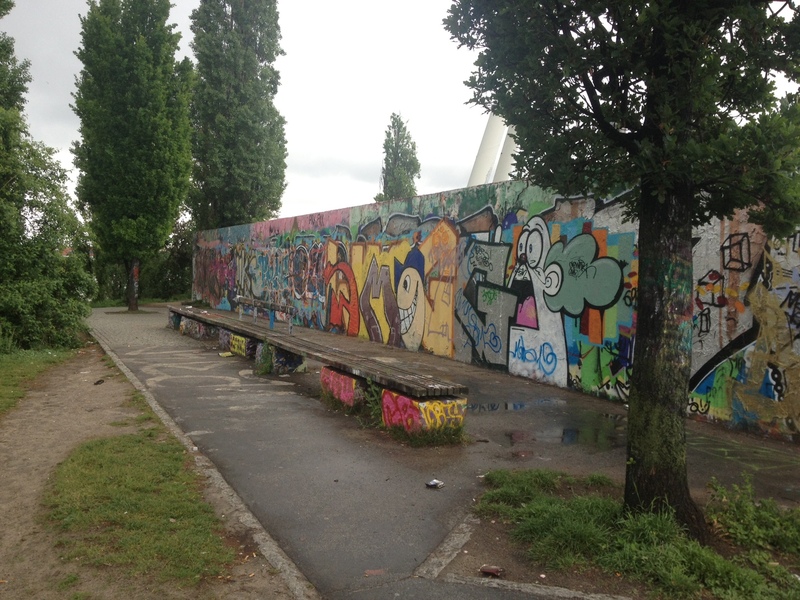 Graffiti is huge in Berlin, so you can’t assume that every wall covered in graffiti is THE wall. I’ve made that mistake before. 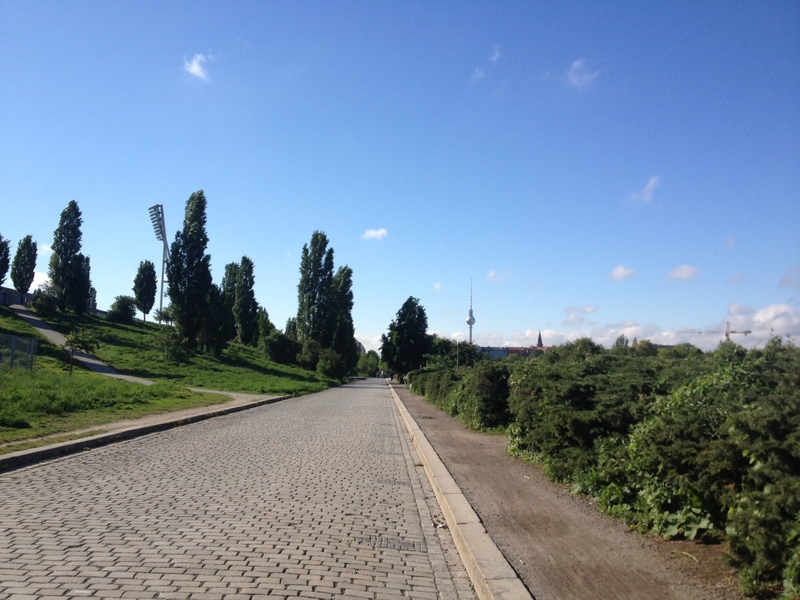 But I knew the Berlin Wall once ran near my neighborhood, and I eventually downloaded an app that showed me the exact location overlaid with a current street map of Berlin… which included some of the surviving portions. 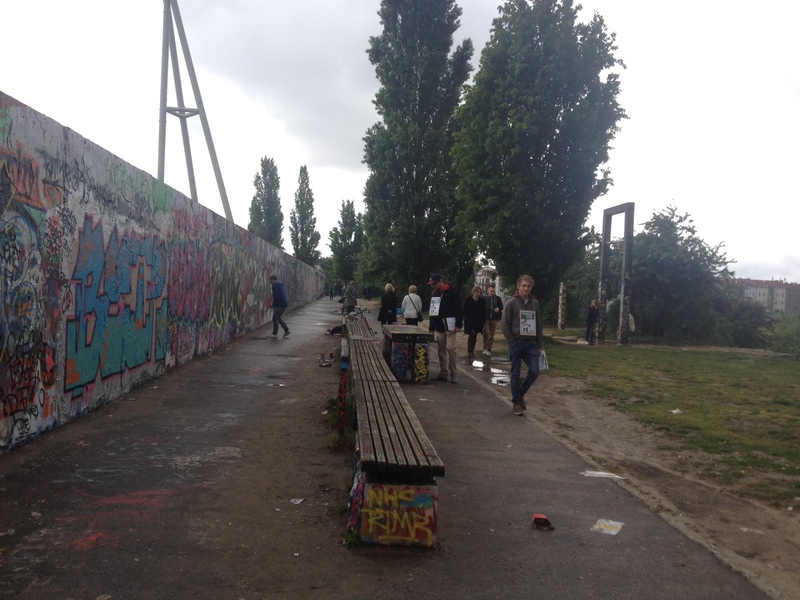 At this point, I was also watching a lot of movies about Berlin, and The Lives of Others includes a scene where someone listening to the radio at work hears that the wall has come down. He tells his co-workers. Of course, he doesn’t tell them in English. He tells them in German. 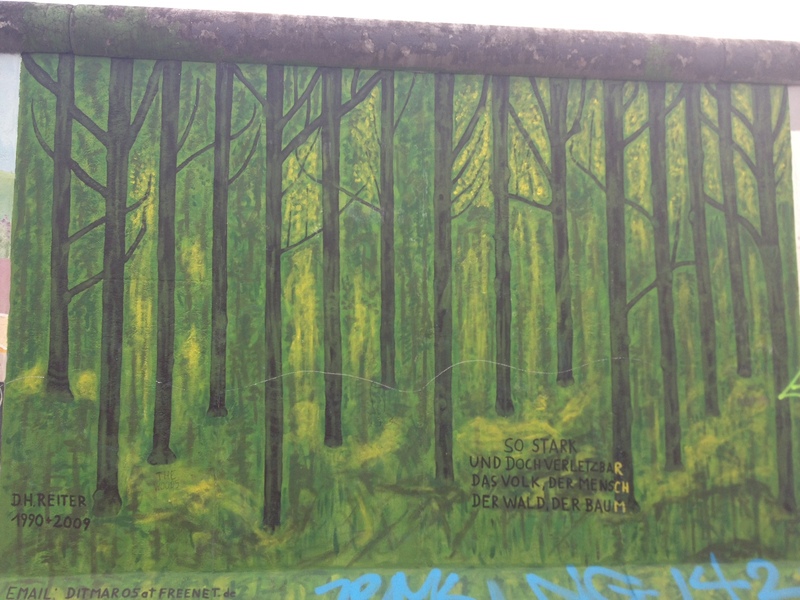 And in German, it’s not called The Berlin Wall. 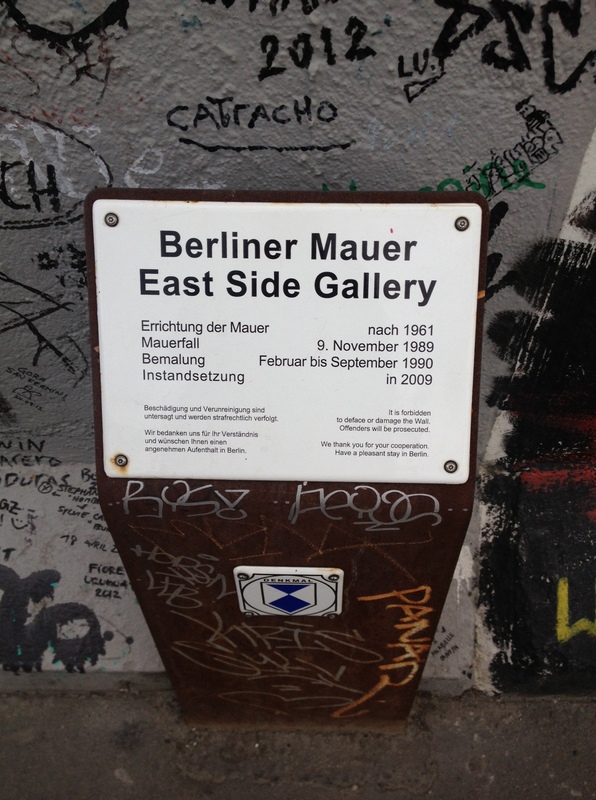 It’s Die Berliner Mauer. I am never going to admit how long that was rattling around in my brain before it all connected. 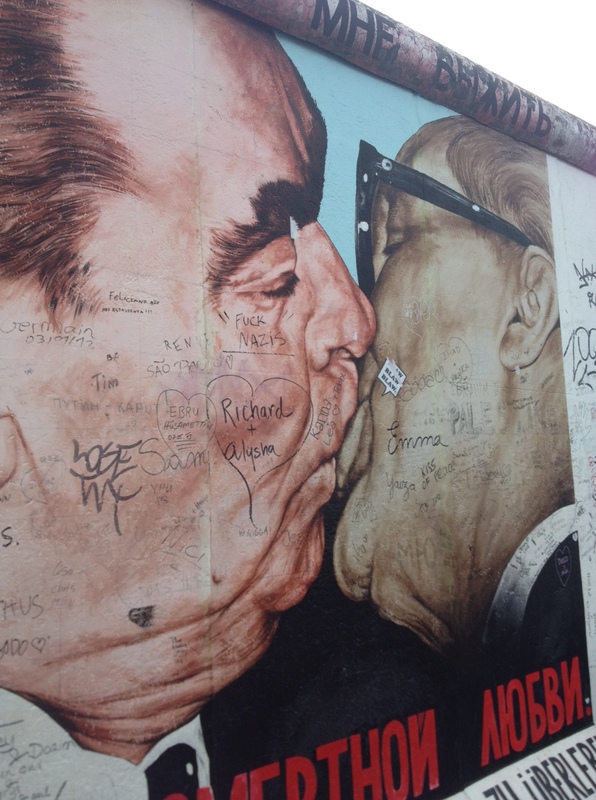 Let’s just say it happened in time for me to appreciate jogging in the Death Strip of the Berlin Wall, and that’s soon enough. 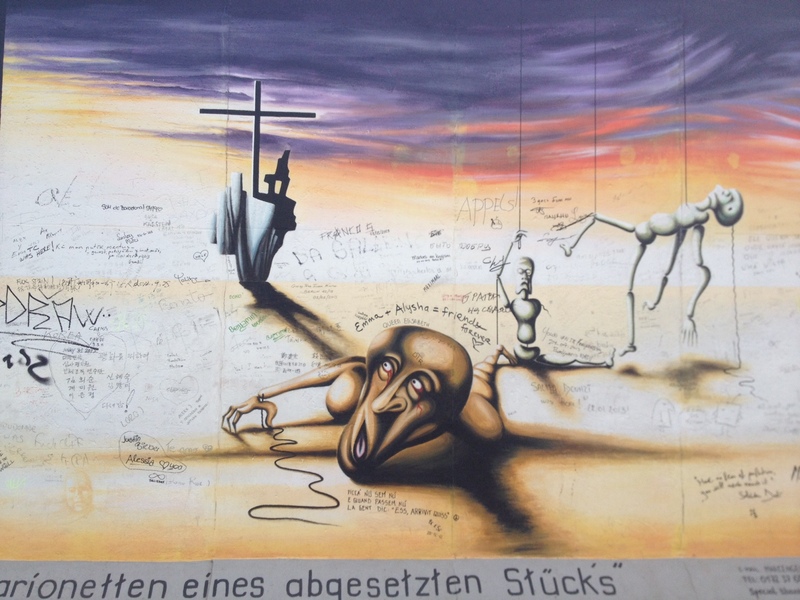 Now, here are some bonus photos of the East Side Gallery, which is not an actual gallery, but another remainder of the Berlin Wall.